Im digging the monastery set and that new overlord figure, am disappointed at the lack of a new Samukai as I am missing him in my collection. Overall a good wave I think. Boy, the boxes of the sets is really getting me. The artwork is really good. Glad to know that the original angular swirl design is back! I may have to rethink on my original thoughts about most of the sets. They certainly look way better now! 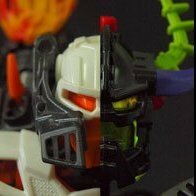 However, ultimately, I'm not sure I would want grab them so soon as TLM2 sets are quite the killer and also the summer sets for 2019 Ninjago might get me way more when they're revealed. It'll all have to depend. 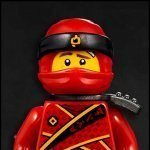 I'm not that much into Ninjago story, I looked in the forum for information but it was quite piecemeal, can someone give me an educated summary of why they're re-releasing sets from the first 2 seasons? I mean, we can't exactly give you an educated summary on the company's reasons for the choices they make. Story-wise though, we have no idea how they could relate to the show itself, or if they do at all. We know very little about the 2019 installment's story. Do we know the UK prices for these sets? If I had to guess, it’s to celebrate the next four episodes (which have also now been editors together into a made-for-TV movie) bringing the total number of Ninjago episodes to 100. A hundred episodes is a pretty major milestone for any show, particularly a merchandise driven children’s animated show. As a bonus, this also enables people who didn’t begin watching the show to obtain some of the most iconic vehicles of the first couple seasons, and allows the designers to depict some of those sets in a way that’s both more show-accurate and more in line with modern set design standards. As great as some of these sets were in the first place, they often don’t quite measure up to the elegance and intricacy seen in more recent waves. These sets all look amazing to me. The golden dragon looks dissapointing compared to the 2013 version, but the minifigures look awesome. Seeing the "spinjitzu tools" in the sets, I wonder how those would look if you popped on one of the tornado pieces from the spinner sets. My response to these comes a bit late, but I just had to take it it. The Monastery looks nice, but there doesn't seem to be much to it. And the Driller sets is perfectly fine. Aside from that, I'm disappointed. But not only in Ninjago, but in Star Wars and TLM2 too. These all just don't look that interesting to me. The Star Wars sets seem like fan-service (although it is nice to get DS Leia in a set for under 400 bucks) and TLM2 sets will separate the target audience (sorry for drifting off Ninjago a bit, but what's going on with LEGO? Or am I just getting to old for this stuff...). I really like the Monastery of Spinjitsu and the Golden Dragon is fine (the minifigures are great); they’re both must-buys for me. I wish that there was an interior for the monastery and Wyplash, as well as, the other skeletons in the other sets look really strange with regular skeleton legs. However, as someone who really wasn’t into Ninjago in its early run, I overall am pretty pleased with these legacy sets. I was looking at the images, and I noticed that the new Golden Dragon head has a stud-shooter inside, rather than the old ball thing. This might mean that it's on a studded surface, and can be removed. If so, that would be awesome for display! I love how small (and affordable) the new Golden Dragon and Samurai Mech are! Great for kids to get as "entry level" sets, and they can get the main hero and villain in the smallest set as well. Between these, the new Lego Star Wars Junior sets, and the abundance of $10 sets in the TLM2 line, I'm starting to see a trend with smaller sets in Lego and I love it. any more news about the ice building ? Really they changed that feature?!?!?! I thought the back of the box when it showcased that feature it was just showing a spot where you could push it not the way to activate the mechanism. This is disappoints me as I own the original Earth Driller. 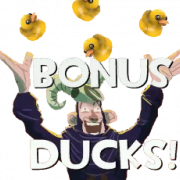 How long does it take for store-exclusive sets to be revealed? That was just a rumour. It was never real. Actually im pretty confident it is real. It was a rumor at first and there is a lot of evidence that it is coming. I’m pretty sure there was a set number and price for it. I find Cole's Earth Driller to be the most impressive set of this wave, with the scaled-down Samurai Mech coming in at a very close second. P.S. Would be great if LEGO extended this "Legacy" approach to other themes as well. I will definitely buy the Monastery (great build, good price), the Earth Drill (Stone Army) and Golden Dragon (mostly for Stone Soldier, Overlord). P.S. Very interested to see what the Ice place looks like and the Ultra Dragon will probably have four of the Golden Dragons new head mold, meaning it will probably get scaled down. Anyone have any idea about prices? preferably uk prices but any would be nice to know.